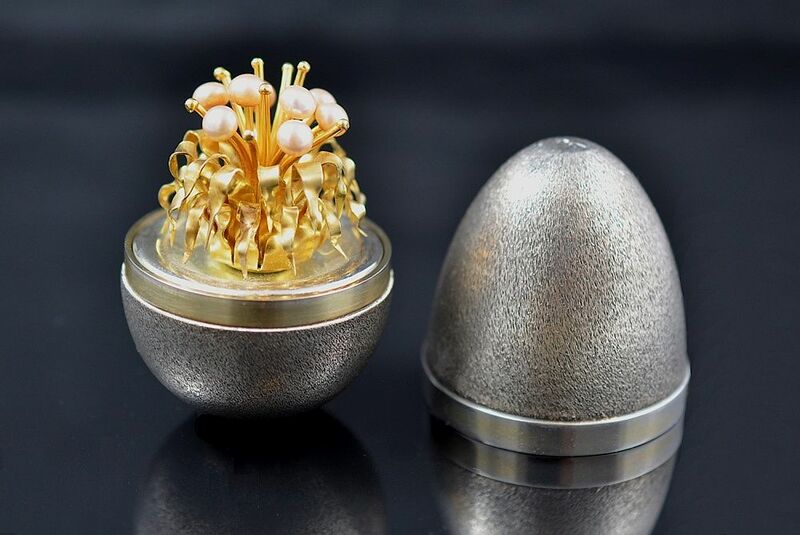 A very collectable silver, gilded silver and pearl surprise egg by Stuart Devlin. The top lifts off to reveal a plant with cascading gilded silver leaves and pearl flower heads. Hallmarked for 1977 including the Silver Jubilee hallmark and stamped with the number 79 which corresponds with the accompanying certificate that confirms that the egg is no. 79 of 100 pieces. Presented in its original box.